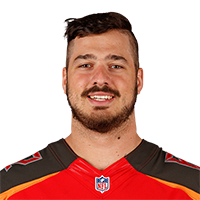 Auclair failed to bring in his only target during the Buccaneers' 34-32 loss to the Falcons on Sunday. He finished the 2018 season bringing in seven of eight targets for 48 yards across 16 games. Auclair brought in his only target for 12 yards in the Buccaneers' 28-14 loss to the Saints on Sunday. Analysis: The reserve tight end continues to operate as a primary backup to Cameron Brate. Auclair's production is expected to remain minimal in his current role, with the one catch he's logged in two of the last three games representing his typical output as long as Brate is healthy in front of him. Auclair played a season-high 36 snaps from scrimmage in Sunday's 27-9 win over the 49ers and brought in his only target for eight yards. 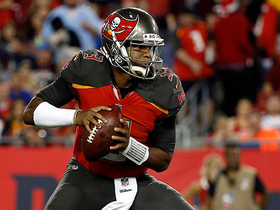 Buccaneers quarterback Jameis Winston connects with tight end Antony Auclair for 14-yard gain.